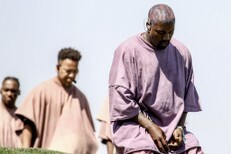 Last night, a shooter reportedly targeted a video shoot where Kanye West and the problematic young New York rapper Tekashi 6ix9ine were both working. According to TMZ, 6ix9ine and West were making a video for a collaboration, which is also set to feature Nicki Minaj, who had not yet shown up on set. The video was being made at a rented $80 million estate in Beverly Hills, on one of the neighborhood’s most expensive streets. At 10:25PM, someone called police to report that shots had been fired. According to a TMZ source, eight bullets were fired, including at least one that went through a bedroom window. Nobody was hurt. TMZ reports that this was apparently a drive-by shooting. West immediately left the set, and production was halted. There have been no arrests, and police are looking at surveillace footage. Two weeks ago, 6ix9ine avoided a prison sentence when he was sentenced to probation and community service after a probation violation. He was originally sentenced in 2015 after pleading guilty to the use of a child in a sexual performance. After that, he was arrested for assaulting a police officer and for choking a 16-year-old. Despite all this — or, hell, maybe because of it — a number of prominent rap figures, including West and Minaj, have publicly embraced 6ix9ine. 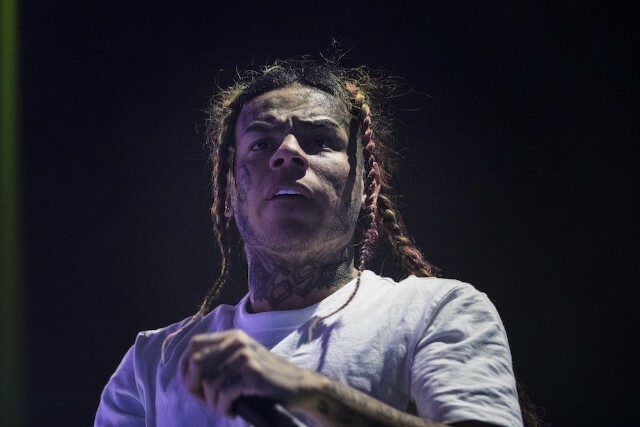 6ix9ine is also involved in a number of feuds with other prominent rappers, including Chief Keef and YG. Earlier this summer, 6ix9ine was reportedly attacked, kidnapped, and robbed in Brooklyn.